I was as surprised by his comments about home teachers, priesthood blessings, bishops, and temples as I was about the cancer. You see, Mike, a priest in the Aaronic Priesthood, hadn’t regularly attended church for close to 50 years. 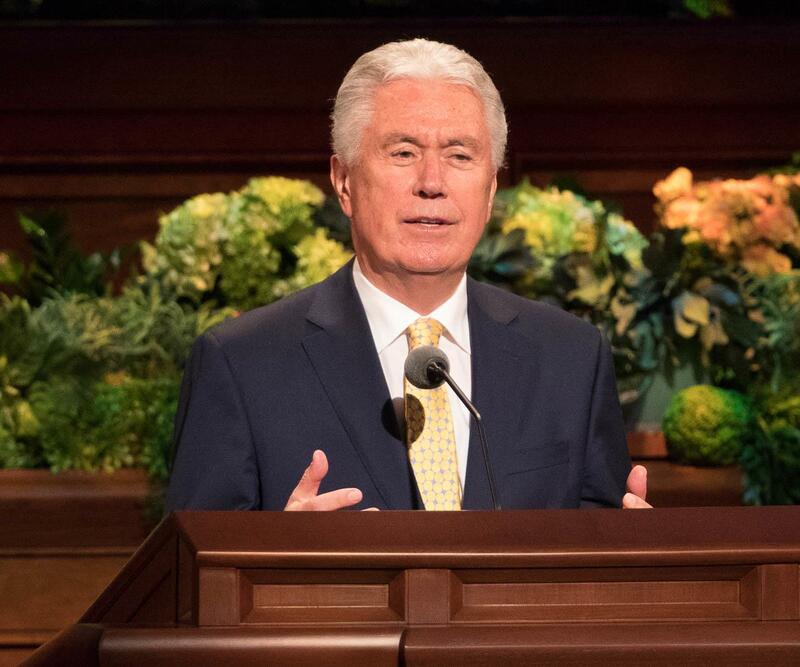 As a family, we were almost as intrigued with his spiritual progress as we were with his progress in fighting the cancer, largely because of his now frequent questions about the Book of Mormon, the sealing power, and life after death. As the months passed and the cancer spread, a need for additional and more specialized treatment eventually brought Mike to Utah and the Huntsman Cancer Institute. Shortly after his arrival, Mike was visited by John Holbrook, the ward mission leader of the ward that served the care facility where he was now living. John commented that “it was obvious to me that Mike was a son of God” and that they quickly developed a bond and a friendship, which led to John becoming Mike’s de facto ministering brother. There was an immediate invitation to have the missionaries visit, which my brother politely declined, but a month into their friendship, John asked again, explaining to Mike, “I think you’d enjoy hearing the gospel message.”2 This time the invitation was accepted, leading to meetings with the missionaries, as well as visits with Bishop Jon Sharp, whose conversations eventually led to Mike receiving his patriarchal blessing, 57 years after his baptism. In early December of last year, following months of procedures, Mike decided to stop the cancer treatments, which were causing severe side effects, and to just let nature take its course. We were informed by his doctor that Mike had approximately three months to live. In the meantime, the gospel questions continued—as did the visits and support of his local priesthood leaders. On our visits with Mike, we often saw an open copy of the Book of Mormon on the bedstand as we discussed the Restoration of the gospel, priesthood keys, temple ordinances, and the eternal nature of man. By mid-December, with his patriarchal blessing in hand, Mike actually appeared to be gaining strength, and his prognosis of at least another three months seemed likely. We even made plans for him to join us for Christmas, for New Year’s, and beyond. 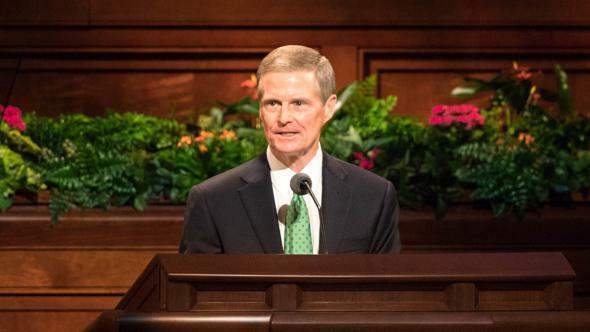 On December 16, I received an unexpected call from Bishop Sharp, who informed me that he and the stake president had interviewed Mike, had found him worthy to receive the Melchizedek Priesthood, and asked when I would be available to participate. The ordinance was scheduled for that Friday, December 21. When the day arrived, my wife, Carol, and I arrived at the care facility and were immediately met in the hallway near his room and informed that Mike had no pulse. 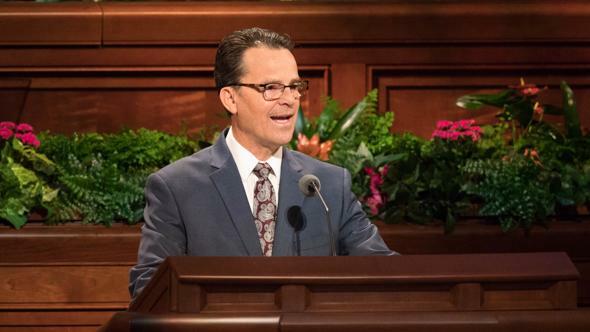 We entered the room to find the patriarch, his bishop, and his stake president already waiting—and then Mike opened his eyes. He recognized me and acknowledged that he could hear me and was ready to receive the priesthood. Fifty years after Mike had been ordained a priest in the Aaronic Priesthood, I had the privilege, assisted by his local leaders, to confer the Melchizedek Priesthood and ordain my brother to the office of elder. Five hours later, Mike passed away, crossing the veil to meet our parents as a holder of the Melchizedek Priesthood. 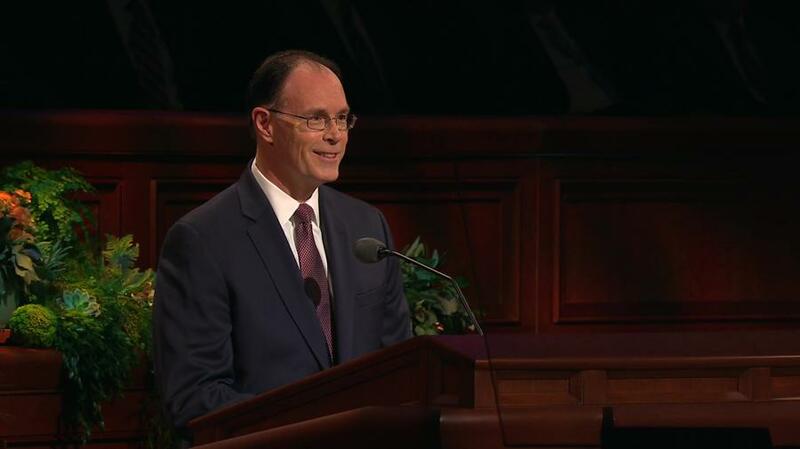 In response to that invitation from a prophet of God, remarkable efforts to minister to the one are taking place all over the world, in both coordinated efforts, as members faithfully fulfill their ministering assignments, as well as in what I’ll call “impromptu” ministering, as so many demonstrate Christlike love in response to unexpected opportunities. In our own family, we witnessed, up close, this type of ministering. John, who was Mike’s friend, ministering brother, and a former mission president, used to tell his missionaries that “if someone is on a list that says ‘not interested,’ don’t give up. 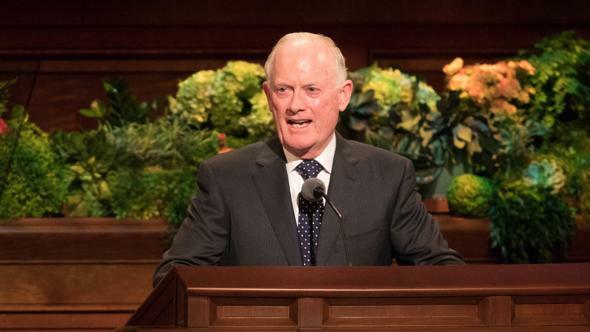 People change.” He then told us, “Mike changed mightily.”5 John was first a friend, providing frequent encouragement and support—but his ministering didn’t stop at friendly visits. John knew that a minister is more than a friend and that friendship is magnified as we minister. It isn’t necessary for someone to be suffering, like my brother, from a life-threatening disease in order to be in need of ministering service. Those needs come in a variety of shapes, sizes, and conditions. A single parent; a less-active couple; a struggling teen; an overwhelmed mother; a trial of faith; or financial, health, or marriage issues—the list is almost endless. 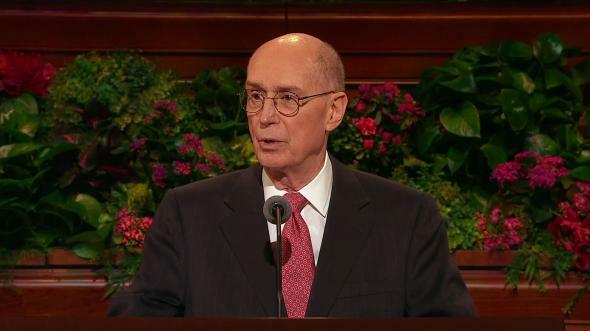 However, like Mike, no one is too far gone, and it’s never too late for the Savior’s loving reach. “A person with a good heart can help someone fix a tire, take a roommate to the doctor, have lunch with someone who is sad, or smile and say hello to brighten a day. Whether we serve as ministering brothers or sisters, or simply when we are made aware of someone in need, we are encouraged to seek the guidance and direction of the Spirit—and then to act. We may wonder how best to serve, but the Lord knows, and through His Spirit we will be directed in our efforts. Like Nephi, who “was led by the Spirit, not knowing beforehand the things which [he] should do,”11 we will also be led by the Spirit as we strive to become instruments in the Lord’s hands to bless His children. As we seek the guidance of the Spirit and trust the Lord, we will be placed in situations and circumstances where we can act and bless—in other words, minister. There may be other times when we recognize a need but feel inadequate to respond, assuming that what we have to offer is insufficient. To do just as He did,12 however, is to minister by giving what we are capable of giving and to trust that the Lord will magnify our efforts to bless our “fellow travelers on this mortal journey.”13 For some, it may be giving the gift of time and talents; for others, it may be a kind word or a strong back. 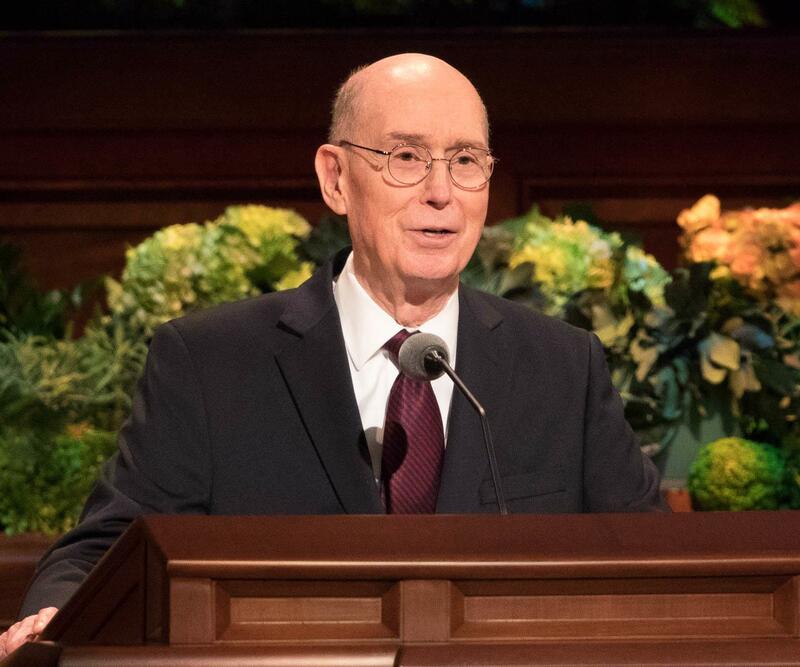 Although we may feel that our efforts are inadequate, President Dallin H. Oaks shared an important principle regarding “small and simple.” He taught that small and simple acts are powerful because they invite “the companionship of the Holy Ghost,”14 a companion who blesses both the giver and the receiver. Knowing that he would soon die, my brother Mike commented, “It’s amazing how pancreatic cancer can make you focus on what’s most important.”15 Thanks to wonderful men and women who saw a need, did not judge, and ministered like the Savior, it wasn’t too late for Mike. For some, change may come sooner; for others, perhaps beyond the veil. 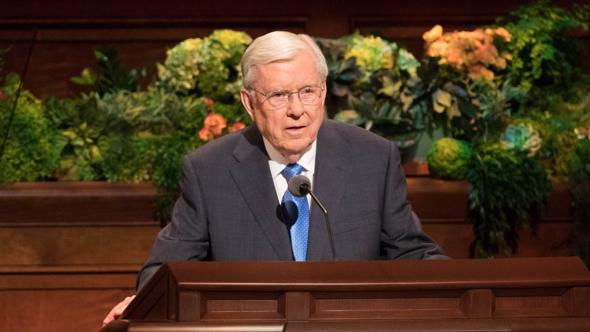 However, we must remember that it is never too late and no one has ever wandered so far from the path that he or she is beyond the reach of the infinite Atonement of Jesus Christ, which is limitless in its duration and scope. 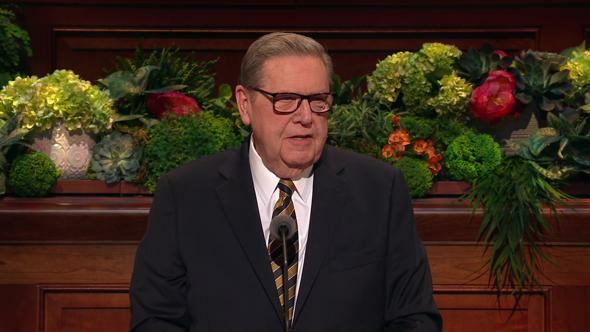 In last October’s general conference, Elder Dale G. Renlund taught that “no matter how long we have been off the path … , the moment we decide to change, God helps us return.”16 That decision to change, however, is often the result of an invitation such as “I think you’d enjoy hearing the gospel message.” Just as it is never too late for the Savior, it is never too soon for us to extend an invitation. I testify that because He “finished,” there is always hope. In the name of Jesus Christ, amen. 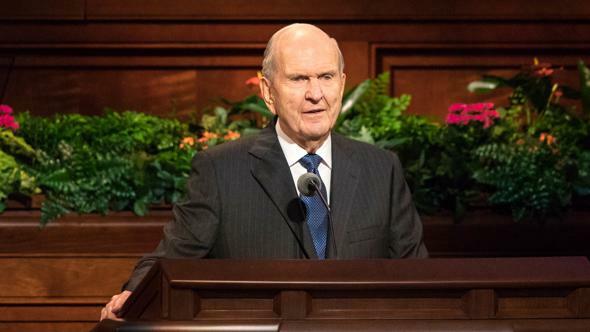 Russell M. Nelson, “Opening Remarks,” Ensign or Liahona, Nov. 2018, 6. 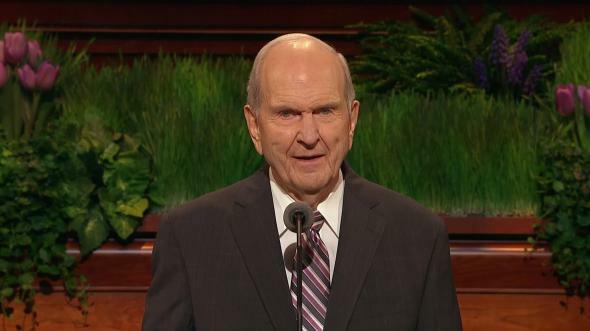 Russell M. Nelson, “Ministering with the Power and Authority of God,” Ensign or Liahona, May 2018, 69. 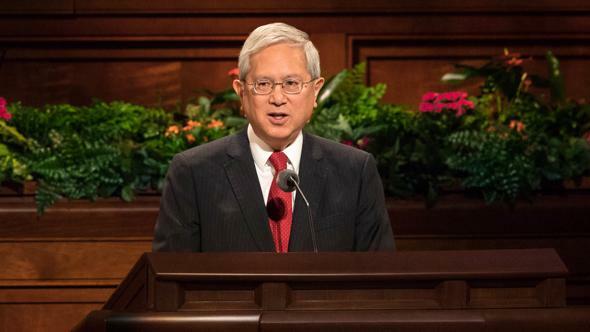 “Ministering Principles: The Purpose That Will Change Our Ministering,” Ensign or Liahona, Jan. 2019, 8; see also ministering.ChurchofJesusChrist.org. Neil L. Andersen, “A Holier Approach to Ministering” (Brigham Young University devotional, Apr. 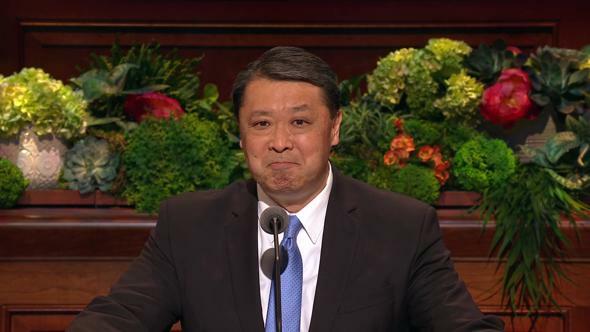 10, 2018), 3, speeches.byu.edu. See “The Purpose That Will Change Our Ministering,” 8–10. See 3 Nephi 17:9–10, 20–21. Thomas S. Monson, “Love—the Essence of the Gospel,” Ensign or Liahona, May 2014, 91. 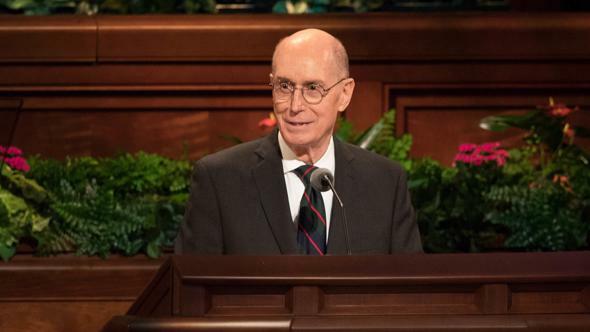 Dallin H. Oaks, “Small and Simple Things,” Ensign or Liahona, May 2018, 90. 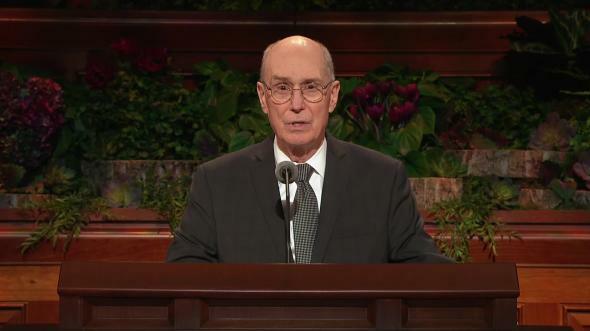 Dale G. Renlund, “Choose You This Day,” Ensign or Liahona, Nov. 2018, 106.